New Giorgio Moroder Rarities Compilation Announced for September. 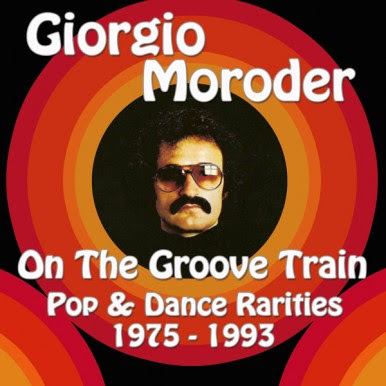 Repertoire Records have announced the release of a brand new Giorgio Moroder compilation entitled 'On The Groove Train Pop & Dance Rarities 1975 - 1993'. As the title says, this collection of songs features all the dance rarities released between the years 1975 and 1993 recorded Moroder’s Musicland Studios in Munich. Musicians featured include studio house band Munich Machine, Americans Marsha Hunt, Roberta Kelly and Paul Engemann, and Brit Keith Forsey. The compilation is due on September 24th.